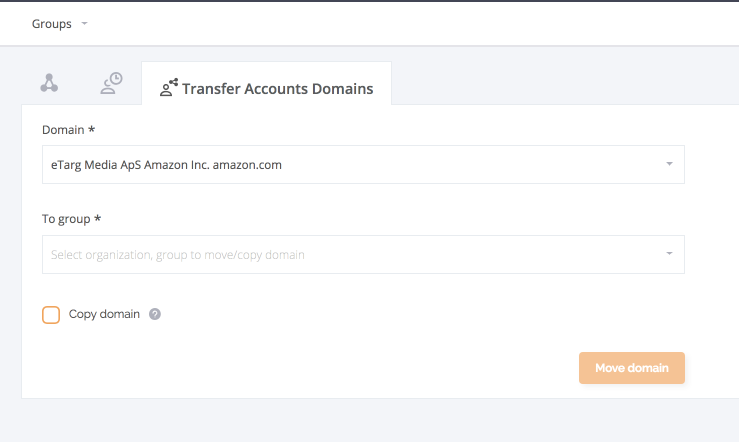 To move or copy a domain to a Sub-Account, go to Sub-Accounts and select "Transfer Accounts Domains"
Choose the domain in question and which organization and group to move it to. If you want to copy the data, make sure to enable "Copy domain". Lastly, just click "Move domain" and you're done!